GAH!!!! We are, yet again in April and May 2018, making updates to the website. We will work as quickly as we can. This is the 6th law change in 6.5 years and we are working as fast as we can (feel free to donate here). Until all the updates are made to the website AND our training guides AND our staff AND volunteers are re-trained, brochures will not be available. For quick summaries of the many many law changes, see our Law Changes Page. Unless something else is written in your lease, one of five new laws might change your rights. Green text applies to leases and events as of 3/1/14 (2013 Wis. Act 76) Summary WI, Summary Dane Co.
On 4/16/18, Governor Walker signed AB771 into law. It was published 4/17/18 as 2017 Wis. Act 317 and went into effect 4/18/18. As of 4/24/18 the law is not yet available in its final form. As soon as it is we will be getting the links to the new laws and updating our website. Please be patient with us as we make the needed revisions. A summary of these latest law changes can be found here. More information on law changes is available here. Have your lease available when calling the Tenant Resource Center so we can help you know what your rights and remedies are, including whether you can request double damages, court costs and reasonable attorney fees when you sue your landlord. State law defines a security deposit as the "total of all payments and deposits" given as security and "includes all rent payments in excess of one month's prepaid rent." This includes pet deposits, key deposits, and furniture deposits, as well as the last month's rent if that is what the landlord requires. ATCP 134.02(11) Deposits are kept as a guarantee that the tenant will pay the rent and not damage the apartment. NOTE: Under the new laws, landlords can write into the lease that they will use electronic communication (e-mail, text, etc.) for the security deposit and for any documents related to it such as check-in / check-out sheets and lists of deductions (more information below). Otherwise, hard copies are the safest option. Wis. Stat. 704.10(2), 2017 Wis. Act 317, Sec. 42, Eff. 4/18/18. How Much Can a Landlord Charge? As much as they want to, as long as it is not discriminatory. There are no longer any limits due to the state legislation. Madison law prohibits landlords from charging more than one month's rent for a security deposit. MGO 32.07(3), MGO 32.07(2)(b), Wis. Stat. 66.0104(2)(b), Eff. 12/21/11. How Should a Tenant Protect Their Security Deposit? If the tenant doesn't get a check-in form, they can make their own or use the Tenant Resource Center's Sample. The tenant should make a copy of the complete document for themselves and send the original to the landlord within the deadline the landlord gives (must be at least 7 days). If the landlord doesn't follow check-in procedures, it will be difficult for them to prove the initial condition of the apartment when they try to deduct from the security deposit. Tenants should still fill in their own check-in sheets and take photos or video of the initial condition of the apartment. Tenants can have a friend who isn't living with them witness the conditions at move-in, and initial their check-in form or write a separate statement about what they saw. Carefully photograph or video the apartment at move in. Tenants should be extra careful to document all damage. When taking photos or video, consider putting a note with the date and apartment number or address in the photos. This will help you prove when the photos were taken and give a reference for how big a particular stain or area of damage might be. Tenants should send photos or video to the landlord soon after moving in and keep copies for themselves. In addition to doing a check-in form and telling the tenants they have the right to inspect the apartment, the landlord must also inform the tenant of their right to request a list of any charges to the previous tenant's security deposit. The landlord can require the request to be in writing. If the tenant does this, the landlord must send a list of deductions from the previous tenant's deposit within 30 days, or 7 days after they notify the previous tenant of their deductions, whichever is later. ATCP 134.06(1) If this list has additional damages that were not fixed prior to their moving in which the tenant did not put on their check-in sheet, this will be important evidence of the condition of the unit when they moved in. It can also prevent the landlord from charging both sets of tenants for the same damage. Landlords are no longer required to "discuss" (but must still “identify”) any Nonstandard Rental Provisions which allow deductions from the security deposit for things not included in ATCP 134.06(3)(a). This makes the language consistent with Wis. Stat. 704.28(2). CR 14-038, Sec. 7 & 8, Eff. 11/1/15. What Should Tenants Do Before Leaving an Apartment? Tenants should try to schedule a check-out appointment with the landlord. If the landlord agrees to do this, tenants should leave with a signed copy of the check-out form. If the landlord notes things that are dirty or damaged, the tenant can offer to clean or fix them at that time to avoid getting charged for it. If the landlord won't go through the apartment together, tenants should complete their own check-out form and take pictures documenting the condition of the apartment, including places the tenant cleaned or fixed things. Remember to put something in the photo to use as a reference point for the date and the size of damages. Consider having the same witness who was present for check-in help with the check-out. If the landlord presents the tenant with a check-out form that lists damages the tenant (or their roommates/guests) did not cause, the tenant should not sign it. Instead, they should complete their own check-out form and keep a copy. Keep copies of everything! Also, tenants should make sure to leave their forwarding address on the check-out form or somehow put this in writing to the landlord. Landlords are no longer required to mail the security deposit to the tenant's last known address if the tenant does not leave a forwarding address. Landlords still have to “deliver or mail” the security deposit, but there is no requirement in the regulations about where to send it. It could end up at an old co-signer's address, the apartment address, etc. ATCP 134.06(2), CR 14-038, Sec. 4, Eff. 11/1/15. Landlords who fail to provide a check-out form similar to the check-in form forfeit their right to deduct for damages or cleaning. MGO 32.07(6), MGO 32.07(5)(a), Wis. Stat. 66.0104(2)(b), Eff. 12/21/11. When Must a Landlord Return the Deposit? The landlord has 21 days after the lease ends* to send the full security deposit and/or an itemized list of deductions. If they wrote it into the lease, they can send this electronically. Wis. Stat. 704.10(2), 2017 Wis. Act 317, Sec. 42, Eff. 4/18/18. ATCP 134.06(2)(a), Wis. Stat. 704.28(4), MGO 32.07(7) If the landlord doesn't do this, the law allows the tenant to take further action (see below), but the landlord doesn't waive the right to charge for damages after that date. This makes the language consistent with Wis. Stat. 704.28(2). CR 14-038, Sec. 4, Eff. 11/1/15. What if the Tenant Moves Out Early? If the tenant moves out before the lease is over, they should write a letter stating the day they are moving and return the keys to the landlord so there is no question of whether they still have possession of the apartment. The 21 day countdown starts on the day the rental agreement ends or the date a new tenancy begins, whichever is sooner. There are exceptions for subletting. (See Ending a Lease for more information about possible changes for rent while the unit is vacant.) Wis. Stat. 704.28(4)(b) This law went into effect for anyone vacating their leases early as of 3/31/12. Before, the landlord had 21 days from the day the tenant "surrendered the premises." They had to notify the landlord in writing if they moved out early, otherwise they would have to wait until the lease was over for the 21 days to begin. ATCP 134.06(2)(b), MGO 32.07(7) If a lease has a provision that is contrary to this law, the law first goes into effect when that lease is renewed. Wis. Stat. 704.28, 2011 Wis. Act 143, Sec. 22, Eff. 3/31/12. What Can the Landlord Deduct for? Damages caused by the tenant or their guests that go beyond "normal wear and tear"
Language was changed to clarify that deductions are made from a full amount of the security deposit, and only for the amount that is reasonably necessary to pay for things they were allowed to deduct. ATCP 134.06(3)(a) , CR 14-038, Sec. 6, Eff. 11/1/15. It is illegal to deduct for routine carpet cleaning from the security deposit even if the tenant signed a lease that states that they must pay for carpet cleaning. The exception is if they damaged the carpet beyond "normal wear and tear." If the landlord deducts money from the security deposit for routine carpet cleaning, they should follow the steps below. ATCP 134.06(3)(c), Wis. Stat. 704.28(3) Be aware that the landlord may still try to get the money in small claims court! A new note in ATCP 134.06(3)(c) makes it clear that even though a landlord is allowed to write a lease saying the tenant has to pay for routine carpet cleaning, they may not take this out of the security deposit. Any carpet cleaning charges they collect in advance must be treated as part of a security deposit, which must be subject to a refund. Deductions cannot include "normal wear and tear." Essentially, a landlord would have to sue a tenant as a separate matter if they did not pay for routine carpet cleaning required by the lease. CR 14-038, Sec. 10, Eff. 11/1/15. Can a Tenant Cash a Partial Check? Who Should the Deposit be Returned to? The landlord should return it to whoever the tenants told the landlord in writing to make the check out to, or whoever the landlord chooses to return it to if there were no written instructions. The regulations no longer tell the landlord they have to put everyone's names on the check, so tenants who rent together should think carefully about who they want the check going to and getting cashed by. It is easier to have it be just one person, but there is more accountability if everyone has to sign it. ATCP 134.06(2)(d), MGO 32.07(7)(c), CR 14-038, Sec. 4, Eff. 11/1/15. The check-out form must provide an obvious place for the tenant's forwarding address. MGO 32.07(5)(d), Wis. Stat. 66.0104(2)(b), Eff. 12/21/11. What if the Landlord Doesn't Follow These Rules? If the landlord does not return the security deposit and/or list of deductions within the required 21 days, or if the landlord took out money for things the tenant disagrees with, the tenant can end up suing the landlord for triple double the amount wrongfully withheld, plus court costs and reasonable attorney's fees. MGO 32.07(10), ATCP 134, Wis. Stat. 100.20(5), Wis. Stat. 66.0104(2)(b), Eff. 12/21/11. A description of each deduction they disagree with, and why. A reasonable deadline for the landlord to return the total deposit (for example, an exact date 5 - 14 days away). Tenants should be sure to keep a copy of the letter for their records! Tenants can easily file a complaint with the Department of Agriculture, Trade and Consumer Protection. The bureau keeps complaint records and will contact the landlord about the violation. To get a complaint form, call (608) 224-4953 or (800) 422-7128 or fill one out online. Tenants can sue any time they feel the landlord owes them money, but it may look better if they write a letter first and then wait until after the deadline expires and the landlord still doesn't respond. Then the tenant can sue the landlord in small claims court for triple double what was wrongfully withheld plus court costs and reasonable attorney's fees. MGO 32.07(10), Wis. Stat. 100.20(5), Wis. Stat. 704.95, Wis. Stat. 66.0104(2)(b). NOTE: If the landlord returns the money before the tenant files in court, the tenant can no longer sue since now they are not owed any money. Double damages only apply if the case goes to court. Dane County Small Claims Court is located at 215 S. Hamilton St. Plaintiffs (people suing for money) must go there and fill out a simple "summons and complaint" form and pay a $94.50 filing fee. (This fee may be waived if you receive Food Stamps or BadgerCare or are otherwise low-income.) If the tenant wins, the landlord will have to pay them back for that filing fee plus any court costs, or reasonable attorney's fees awarded by the court. The landlord might not contest the case, they might try to settle, or they might counter-sue for more money the landlord feels they are owed. If you have more questions, see our Small Claims Court Tips. Earnest Money: This is sometimes called hold money, money down, or an application fee. Earnest money includes ALL money which the tenant pays to the landlord before they sign a lease in return for the option of entering into a rental agreement in the future, or for having a rental agreement considered by a landlord, except for up to $20 $25 for the actual cost of a credit check) and up to $25 for a background check for tenants applying from out of state. ATCP 134.02(3, Wis. Stat. 704.085(2), 2017 Wis. Act 317, Sec. 41, Eff. 4/18/18. Normal Wear and Tear: This is a term that Wisconsin laws use, but do not define in detail. It refers to the deterioration of the premises that occurs during normal conditions where the tenant cleans regularly and cares for the premises reasonably. If the tenant and landlord cannot come to an agreement, a small claims court judge will decide if the issue goes to court. Security Deposit: The money a tenant pays to a landlord when entering into a rental agreement to guarantee the tenant's obligations. It is any amount above one month's prepaid rent (including all pet deposits, key deposits, and furniture deposits). There is no such thing as an automatically non-refundable deposit. Does my Landlord Have to Pay Interest? As of 12/21/11, Madison landlords do not have to pay security deposit interest. However, they still owe interest until that date for deposits held when the law changed, or for any period of time if it says in the lease that they will pay interest, even if they are returning them much later. See below for how to calculate interest. The return would be a total of $1021.05, assuming no deductions were taken. The rates can also be found under the State of Wisconsin Department of Financial Institutions' (DFI) announced interest rate to be paid by Wisconsin's financial institutions for money held in escrow accounts for real estate. 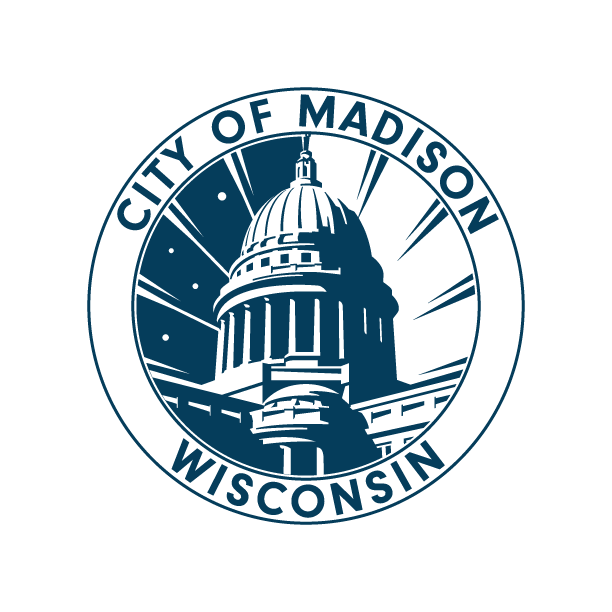 You can also call the City of Madison Building Inspection Unit at (608) 266-4551 to find out the current rate. If the security deposit was half of one month's rent or less, the landlord does not need to pay interest unless the lease says otherwise. MGO 32.07(3), Wis. Stat. 66.0104(2)(b), Eff. 12/21/11.